Need to cook up a storm for the kids at soccer practice or cook for a cast of thousands at your next club event? No problem. The freedom is yours wth the new BeefEater Clubman. This mobile wonder with convenient folding legs is great for any occassion both near and far. 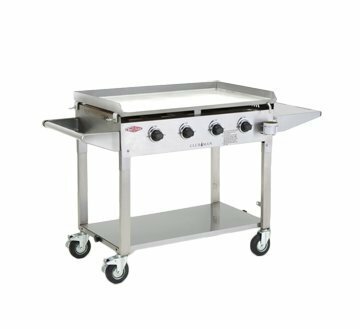 Its practical, robust design and massive cooking area is sure to cook up a feast at any function or event. The Beefeater Clubman BD16440 BBQ Grills was added to the BBQ Grills category in August 2017. 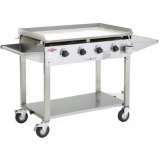 The lowest price GetPrice has found for the Beefeater Clubman BD16440 BBQ Grills in Australia is $1,444.00 from Thebarbequestore.com.au. Other merchants who stock it are Thebarbequestore.com.au, Appliances Online.